In a previous post, we looked at the top searches for 2009 broken down by major search engine. This week we will be looking at what people were searching for in various countries. We start with my native Canada. The following lists were the top searches queries in Google for 2009. It appears that Canadians are using Google to find the information central to their lives. It is interesting to note that in the 100th Anniversary of the famed Montreal Canadiens hockey franchise, searches for "Montreal Canadiens" or related did not make any of the lists. Without further adieu, here is a look at what Canadians were searching for in 2009. Interesting to see Michael Jackson barely crack the top 10 when he was the number two searched for term in the United States. It is equally interesting that Natasha Richardson, who was involved in a fatal skiing accident in Quebec is at number six. Does anyone else find it interesting that Canadians are using Google to search for "Yahoo mail" as opposed to Google's Gmail? 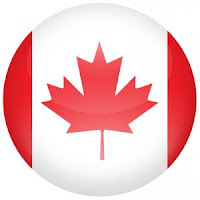 Canadians are avid Facebook users and I believe are among the world's leaders when it comes to using Facebook. No surprise here. Noticeably abscent is Twitter which appears to be more popular States-side than here in Canada. (Although Twitter was on the fastest rising list). I want to point out that yet again, Canadians are using Google when searching for an email service to find "hotmail" rather than searching for Google's own email service Gmail. I would suggest that Canadians are lovers not fighters, but the entry at number ten would suggest otherwise. I guess that there are a lot of up and coming hockey players using Google (just kidding). Canadians are also eco concious and are interested in going green. It is interesting to see what one of the world's most plugged in nations are searching for. Canadians are no doubt unique in some of their searching habits and the queries they search for.